Our Favorite Educational Apps for Pre/K! As a homeschooling momma, I have learned that the iPad is a marvelous resource. When I’m working one on one with one of the kiddos, I love to use the iPad to keep the other one busy with school work. We have lots of our favorite apps listed here, but we always like to hear about more! 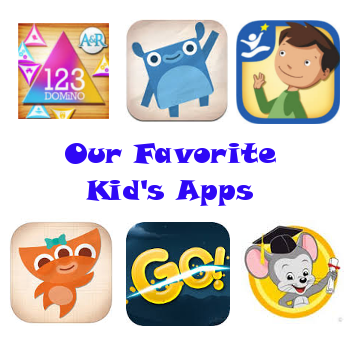 If you have a favorite app for kids from 3-6, post it in the comments. We were lucky enough to grab the Hooked on Phonics classroom edition for free, but the home edition is great. 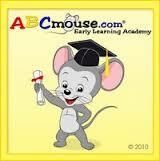 The kids love the catchy songs, and it gives them a great reading start. Honestly, we love the entire Endless series by Originator Inc. This one has a group of words for each letter that the kids get to spell out and then they give a cute animated definition for the alarm. It’s a great way for kids to practice their letters and learn some new words! Like I said, we love the Endless series. 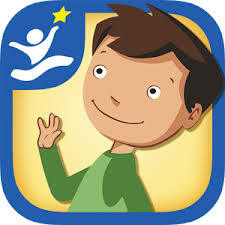 This app is all about numbers – number recognition, sequencing, and quantities. The free app gives you #1-5 to try, and it’s $11.99 to get the rest of the numbers all the way to 100. Last one. 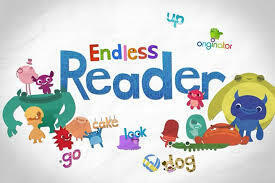 Endless Reader from Originator is similar to Endless ABCs with the word puzzles, but the words in this one are easily readable by beginning readers. Once they spell the words, they get to build a sentence with them then the sentence is read aloud with a short animation. This one will cost you a monthly subscription, but it’s available as an app or online. One monthly fee covers both my kids (I think it covers up to 3 kids). This is the only app we have that encompasses a wide range of subjects- reading, math, beginning science, art, music, and much more. The kids love that they get to earn rewards. Honestly, Start with Art is for kids a little older, but it’s an app my little one loves. It has a paint-type feature that lets the kids create, but it’s so much more than that. 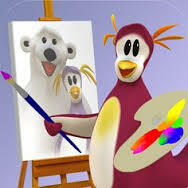 Kids will be guided by four fun characters through what art is with short educational videos and hand-on activities. 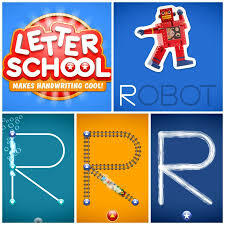 Letter School is another great letter app. 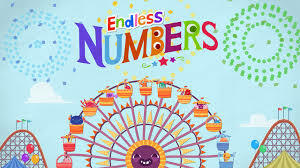 It introduces letters and numbers 1-10 with really fun animations. It does a great job of reinforcing correct letter formation. Carebear loves the little lawnmower that mows the letters down. 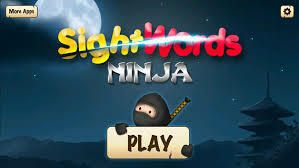 Kids learn sight words Fruit Ninja style! You can even customize the word list. The words are announced and they have to slice through the right one to move on. The incorrect ones just turn black. Amazingly simple, but they love it! Introduces up to 320 sight words with fun games like Whack-a-Mole, Bingo, and Bear’s Maze. Best of all, it’s totally free. This is one of my little math-lover, Beccaboo’s, favorites! 123 Domino is a logical game of triangle dominos. 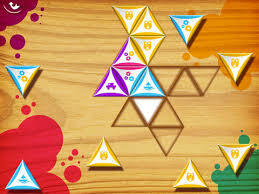 It matches up by color, and increases difficulty by each level. Free Desktop Calendar at Walgreens!